It is estimated that currently only 53% of people with HIV know their status. In 2014, approximately 150 million children and adults in 129 low- and middle-income countries received HIV testing services. The Human Immunodeficiency Virus (HIV) targets the immune system and weakens people’s defence systems against infections and some types of cancer. As the virus destroys and impairs the function of immune cells, infected individuals gradually become immunodeficient. Immune function is typically measured by CD4 cell count. Immunodeficiency results in increased susceptibility to a wide range of infections and diseases that people with healthy immune systems can fight off. Testing for HIV and other STIs is strongly advised for all people exposed to any of the risk factors. This way people learn of their own infection status and access necessary prevention and treatment services without delay. WHO also recommends offering testing for partners or couples. Tuberculosis (TB) is the most common presenting illness among people with HIV. It is fatal if undetected or untreated and is the leading cause of death among people with HIV- responsible for 1 of every 3 HIV-associated deaths. Early detection of TB and prompt linkage to TB treatment and ART can prevent these deaths. It is strongly advised that HIV testing services integrate screening for TB and that all individuals diagnosed with HIV and active TB urgently use ART. In September 2015, WHO published the “Guideline on when to start antiretroviral therapy and on pre-exposure prophylaxis for HIV”, that recommends PrEP as a prevention choice for people at substantial risk of HIV infection as part of combination prevention approaches. Post-exposure prophylaxis (PEP) is the use of ARV drugs within 72 hours of exposure to HIV in order to prevent infection. PEP includes counselling, first aid care, HIV testing, and administering of a 28-day course of ARV drugs with follow-up care. Updated WHO guidelines issued in December 2014 recommend PEP use for both occupational and non-occupational exposures and for adults and children. The new recommendations provide simpler regimens using ARVs already being used in treatment. The implementation of the new guidelines will enable easier prescribing, better adherence and increased completion rates of PEP to prevent HIV in people who have been accidentally exposed to HIV such as health workers or through unprotected sexual exposures or sexual assault. In 2014, 73% [68–79%] of the estimated 1.5 [1.3-1.6] million pregnant women living with HIV globally received effective antiretroviral drugs to avoid transmission to their children. HIV can be suppressed by combination ART consisting of 3 or more ARV drugs. ART does not cure HIV infection but controls viral replication within a person’s body and allows an individual’s immune system to strengthen and regain the capacity to fight off infections. In 2015, WHO released a new “Guideline on when to start antiretroviral therapy and on pre-exposure prophylaxis for HIV.” The guidelines recommend that anyone infected with HIV should begin antiretroviral treatment as soon after diagnosis as possible. By mid-2015, 15.8 million people living with HIV were receiving ART globally. By end of 2014, 40% [37–45%] of all people living with HIV were on ART. Based on WHO’s new recommendations, to treat all people living with HIV and offer antiretrovirals as an additional prevention choice for people at “substantial” risk, the number of people eligible for antiretroviral treatment increases from 28 million to all 37 million people. Expanding access to treatment is at the heart of a new set of targets for 2020 which aim to end the AIDS epidemic by 2030.
stronger links between HIV and related health outcomes. Currently, WHO is working on a new strategy for the global health sector response to HIV for 2016-2021. WHO is a cosponsor of the Joint United Nations Programme on AIDS (UNAIDS). Within UNAIDS, WHO leads activities on HIV treatment and care, HIV and tuberculosis co-infection, and jointly coordinates with UNICEF the work on the elimination of mother-to-child transmission of HIV. 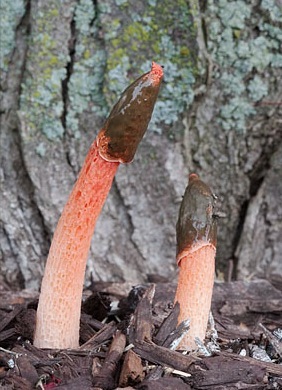 Flibanserin-Pink Viagra in a Fungus Scent? 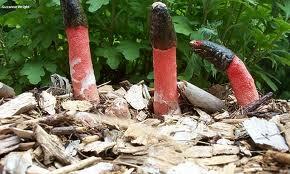 The resounding answer is yes, and the Stinkhorn fungus is even shaped like a phallus. I don’t recall reading about this study in 2001, but since the recent FDA approval of drug for female sexual desire has received so much attention someone has done their homework. It went viral and Dvora a regular at the Salon posted on fb. There is a legend, handed down through the generations from a source shrouded in the mists of time. Appearing mysteriously, in varying forms, in far flung regions of the globe, but particularly the South Pacific, telling a similar story various cultures speak of a mushroom with aphrodisiac effects on women. In the Hawaiian Islands, the high islands of Polynesia, the islands of Samoa,Tahiti, Rarotonga, and the Marquesas. They speak of a mushroom with peculiar properties; giving rise to tales of women who encounter this mushroom in the forest and fall into-ecstatic sexual fits of orgasmic proportion. Mamalo o Wahine, the mushroom that makes women go mad with desire! But, is there truth to this old time myth? And how could this benefit the world in modern times? In an effort to uncover the answers to these questions which occurred to me quite randomly, just as the folk lore itself seemed curiously to flit into my awareness most suddenly one blustery evening while searching for leads in my quest to unveil the mysterious properties of fungi, I ran across an article in the International Journal of Medicinal Mushrooms describing a strange and wonderful practice in Hawaii: women gathering together to search for a particular mushroom. Upon finding it, they inhale the aroma; the scent of which causes pronounced sexual arousal, often orgasmic in nature!